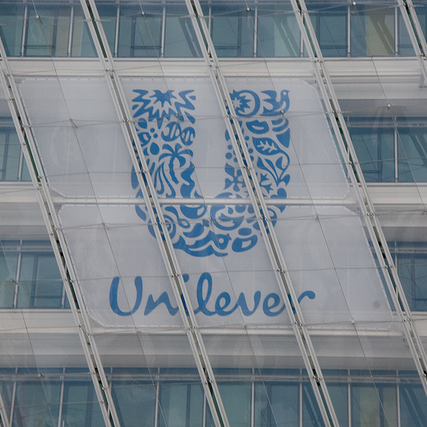 The Dividend Drive: BUY: Unilever--A stable staple for dividends? BUY: Unilever--A stable staple for dividends? My everyday tea is PG Tips. My everyday soap is Dove. This means that within minutes of waking up every morning I have already used two Unilever brands. Other ones sitting in my house include Radox, Comfort, Persil, Vaseline and more besides. As such, the mantra that you should buy what you know rings very true with Unilever. It was, as a result, a no brainer for me. In reality though, Unilever was far from a bargain when I bought either of my holdings in the company. Nonetheless, I was fortunate enough to pick them up whilst the Anglo-Dutch consumer giant finds its share price briefly dropping after less than startling--though far from worrying--results. The Price to Earnings (P/E) ratio is a useful indicator of value for a company. Anything below 10 is considered a bargain; whilst, for me, anything below 12.5 is pretty good value for a decent company. Unilever does not really tick this box. According to analysts consensus earnings per share (EPS) the forward P/E for Unilever in 2014 is around 18.8--higher than even the traditional FTSE 100 average of 16. For 2014, therefore, even the highest prediction leaves Unilever trading on a forward P/E or 16 and the lowest at a pretty large 23.3. So does 2015 look any more of a value play? Not really. Certainly the figures are improving. Nonetheless, a consensus of 17.4 is by no means cheap and 22 is still rather dear. But does this worry me? No. A company like Unilever with its stable staple income you would expect to sell at something of a premium (especially in these still uncertain times). What is more, their moves in the developing markets--although slightly unnerving investors in the short term--seem solid investments for the future. Furthermore, their all important dividend situation looks far more promising with a predicted dividend for 2014 and 2015 of 91.05p and 98.37p. This is a yield of 3.7% and 4%. Certainly not to be sniffed at. The dividend cover is certainly not spectacular but also not too concerning. For 2014 the consensus EPS would leave the cover at 1.44 times earnings with the lower EPS prediction leaving it at a slightly more iffy 1.15 times earnings. That is not ideal, but assuming the prediction correct and Unilever looks to maintain the dividend cover of 1.4 times this would still leave the dividend at 75 per share which would yield 3%. I am still quite happy with that. For 2015 the story is almost identical with the consensus showing a 1.43 times earnings cover and a low prediction a 1.16 times earnings cover. Assuming, as above, the lower estimate correct and a 1.4 times cover as the target this would yield a dividend of 79.8p per share which is 3.25%. Again, a pretty nice figure. So why did I buy? Clearly Unilever's dividends are not going to set the world alight even at the most generous predictions. Similarly, it is clearly not a bargain at its current price. So why did I buy? Quite simply because it is a company I live with every day as do millions--or rather billions--of others. I expect to hold these shares as long as Unilever products continue to feature daily in my life. As a result, I am content to pay a premium for its solid characteristics and hold it for the very long term. I am sure that, on a timescale that long, Unilever will prove to be a reliable stock. Of course, things can change, and this is part of the reason for this blog: to record my reasons for holding stocks so I can work out when situations have changed to such an extent that it is time to sell. But for Unilever, I don't see this coming anytime soon. I am sure many of you hold Unilever in your portfolio. How much of a premium are you willing to pay for these sort of solid, defensive consumer stocks? When does even reliability become too costly? Church & Dwight (CHD): Attractively Valued Despite First Appearances? How financially resilient are you? © 2014-2015. Simple theme. Powered by Blogger.